Before we go any further, I've got a question. What the heck is a mok anyway? Wait a minute is that my picture? Oh, are you still here? Sorry I got sidetracked there. I wanted to get back to the topic at hand, the subject of today's injustice, our weekly Humor Blubberers Dot Com diatribe: political correctness. And today's question: has it run, urm, er, amok? You know, I was willing to go along when people got offended by things like "the little lady" usually used in a sentence with "in the kitchen barefoot and pregnant" (those were the days) but now people have their politically correct radars on 24-7 and that's such a freakin' injustice. News comes this week that political correctness has finally run amok. The U.S. Supreme court has refused to hear a case launched by Native Americans that the name of the NFL's Washington franchise is racist. (I guess their mommas didn't raise any fools.) Redskins? What's racist about that...it's a homage to the proud Native American Indians. Oh wait a minute, Native and Indian is redundant...but it's not racist. See what I did there? Now Rednecks would be racist. That'd be a slam against dumb, white-trash, trailer park people. And the NFL wouldn't do that. Hell, that accounts for half their demographic. Besides, it's not their name but their 3-6 record this season that's offensive! 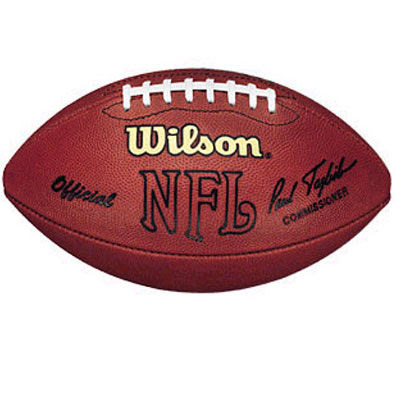 An inflatable sphere made from the outer covering of a donut-eating human in a blue uniform. Atlanta's 3rd sweater proving popular. Political correctness isn't limited to sports. Oh, no. Since the Christmas season is almost upon us I thought I'd perform a little public service (you leave my mok out of this) and remind everyone we can't say that word anymore. It's too Christian centric. Now we have to say Happy Holidays. And holiday tree and festive turkey and so on. George Kostanza's Dad on Seinfeld had the right idea. He got rid of Christmas and substituted it with Festivus for the rest of us! And to all a "good night"! I'm a believer in gun control, i.e. a good, steady shot. Your "little friend" on your sidebar is the perfect solution to political correctness run amok. Those amoks can't be too hard to take down with the a little gun control. Don: I'm with you Don. I support sleeveless shirts. We should have the right to bare arms. Wow, I love your PC Christmas carol titles. Very funny! Me-Me: Thanks. There's a lot more at the link I provided. Yeah, the whole sports team controversy is just stupid. What's wrong with the Seminoles? It's respectful, if anything. 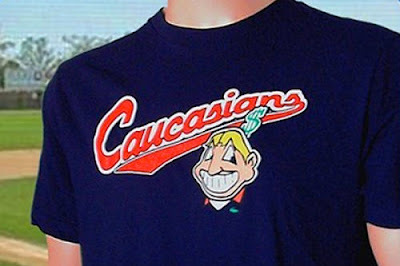 Where can I get one of those Cleveland Caucasians jerseys? 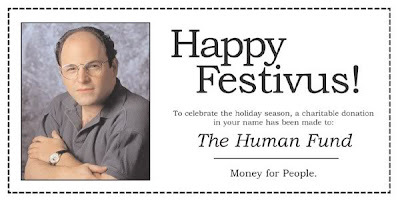 Hey, let me the first to wish you a Happy Festivus, NoName! Enjoy the people! DK: Screw 'em if they can't take a joke. Mike: Oh, you're the first. And in return let me wish you a mirthful holiday that celebrates conquering American Indians.